One of our favorites in Agua Bendita’s 2019 Collection not only for its design but the rich teal color and vibrant floral print. Bandeau style Georgina Top has lace-down ties on one side that allows you to customize the fit. Whalebone sides and soft bands on top and bottom keep top in place. High-waist bottom is completely reversible to solid teal color. Matching adjustable lace ties over hips. Latin Fit provides just the right amount of coverage — not too much or too little. 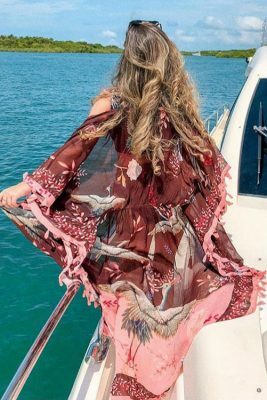 Make a lasting impression in this one-of-a-kind swimsuit. 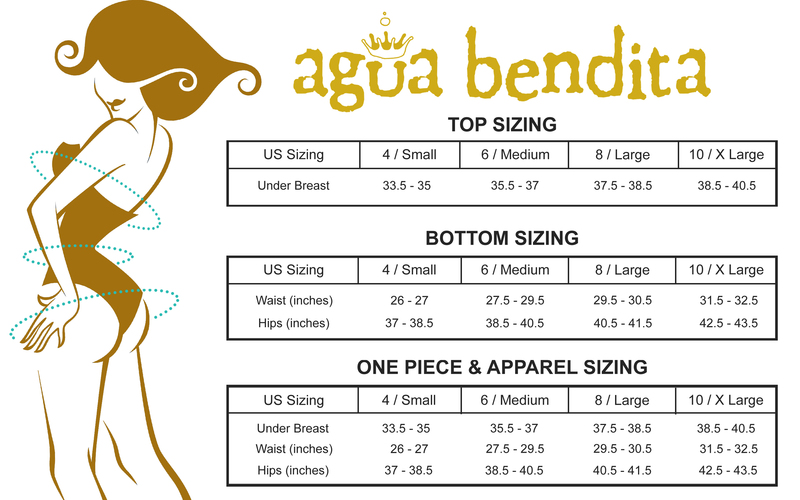 Agua Bendita‘s Mayura Georgina Top Hope Bottom Bikini. Bandeau style top. Lace ties adjust for comfort as well as custom fit. Also has gold beads at ends of strings. Soft bands at top and bottom. Whalebone sides keep top in place. High-waist bottom with adjustable lace-down ties over hips. Completely reversible to solid teal color. Latin fit provides just the right amount of coverage — not too much or too little. Both pieces have seamless construction, providing a soft, pull-on design. Wear together with Amaia Maxi Skirt. Beautiful rich teal blue tone and vibrant floral print.